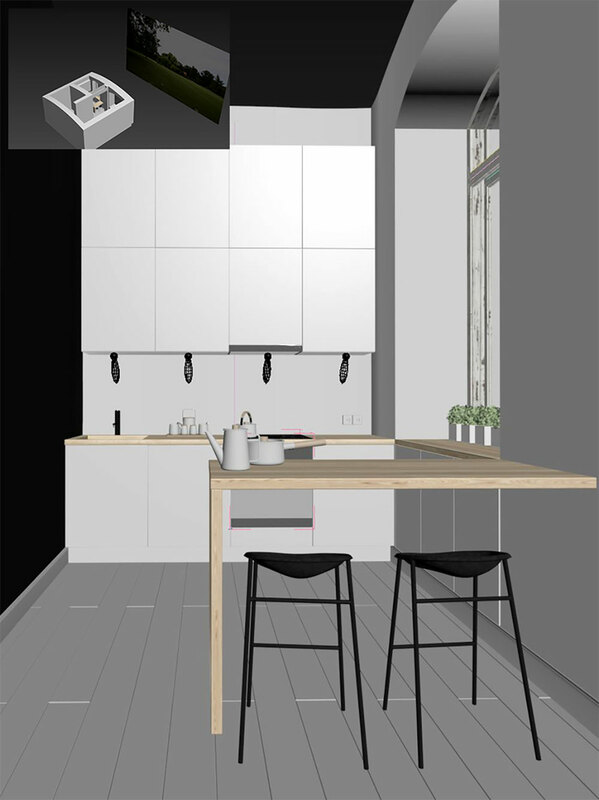 In this ‘making of’ we bring you a small kitchen furniture visualization project: Kitchen in Zurich. The design was created in collaboration with Livin Furniture . 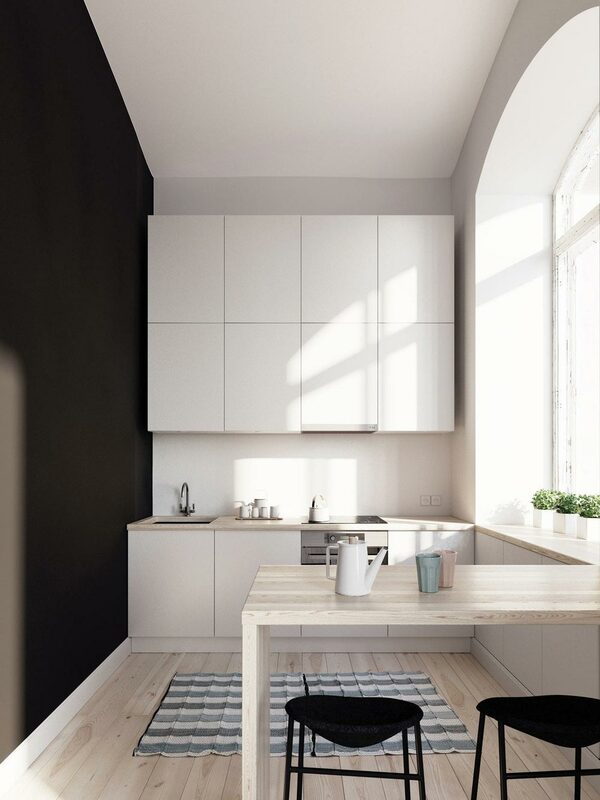 This kitchen was designed for a small apartment located in the heart of Zurich. Our typical workflow for this presentation involves modelling in SketchUp, exporting to 3ds Max, rendering with Corona and post-processing in Photoshop. As always, we used some ready-made models to speed up the process. 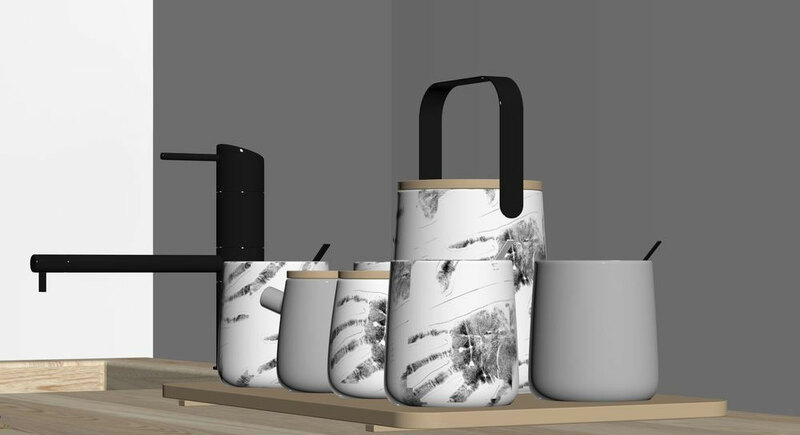 Basic forms has been created using SketchUp. 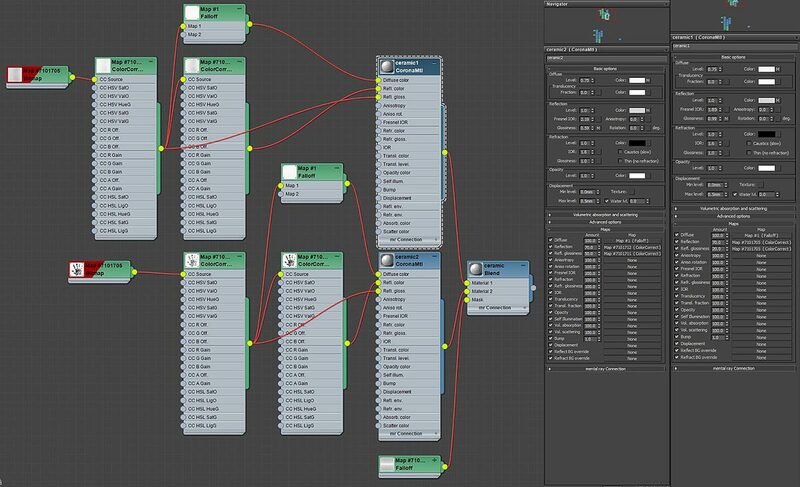 We have a little addiction to this software which is probably not too good, but the speed of modelling keeps us with it in 90% of our projects. 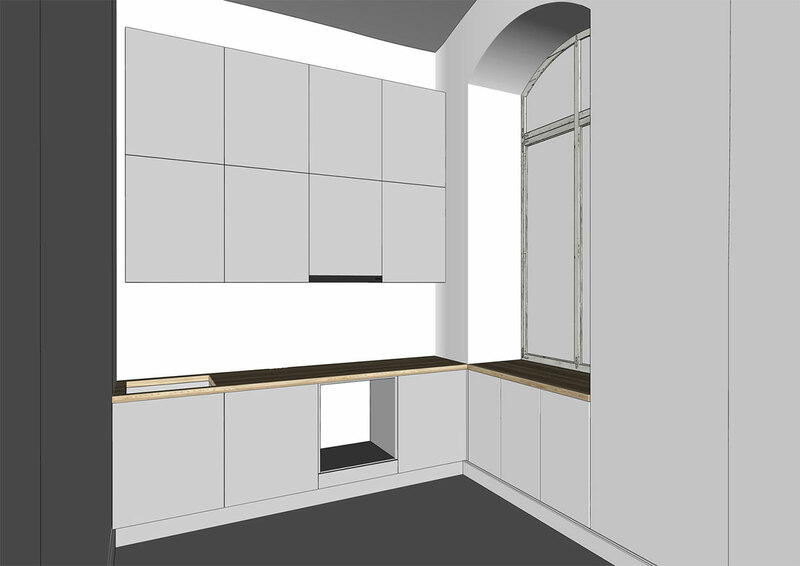 Beside basic forms in SketchUp, we also use bevel or corner rounding which is a key to successful interior rendering. Normally we use a bit higher amounts of corner rounding which gives more convincing result. 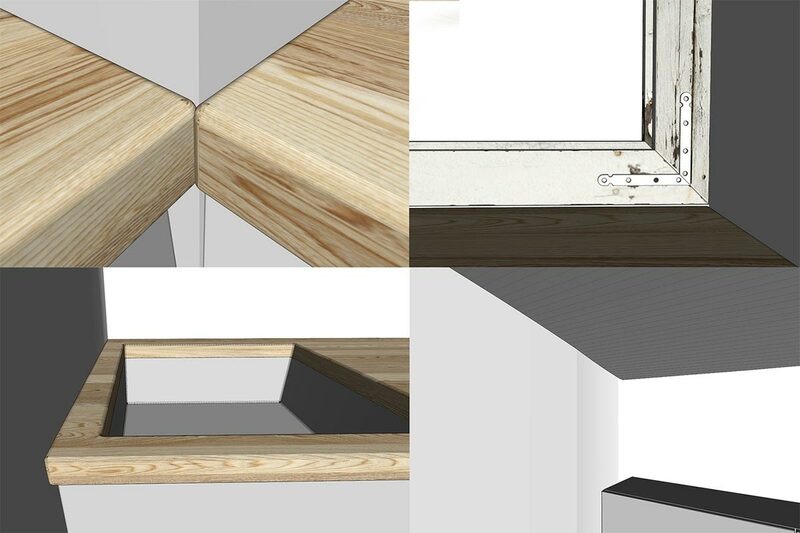 For example instead of 1 mm bevel in real, we have used 2.5 mm for cabinet doors. 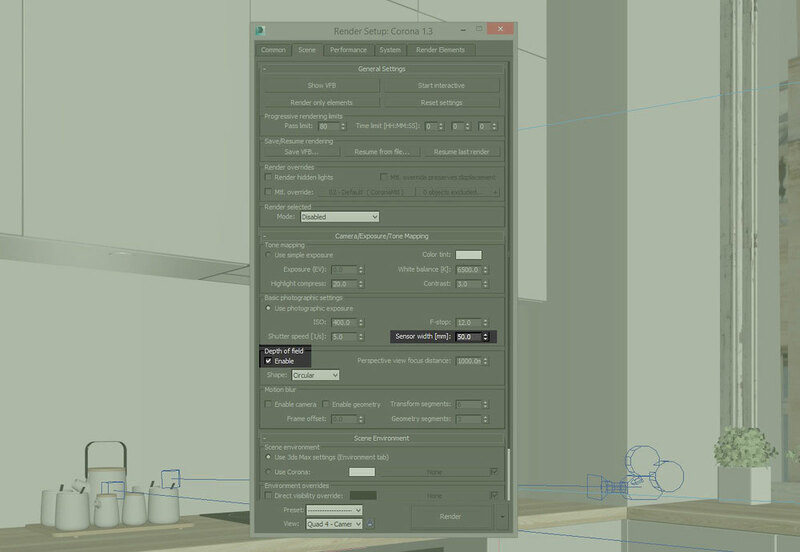 After finished in SketchUp, we exported the SketchUp 2014 version model into 3ds Max. For a wooden flooring we used FloorGenerator script, which worked quite nicely in this situation (Sometimes we do flooring in a different way, will write about that next time). Also some model+model assets and several models from personal library have been imported. 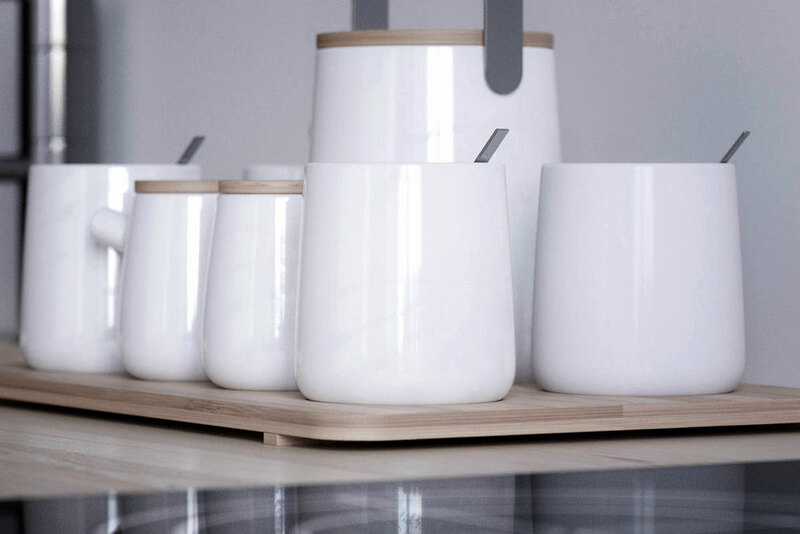 The first amazing and very handy thing is – The Corona material converter by Martin Geupel. 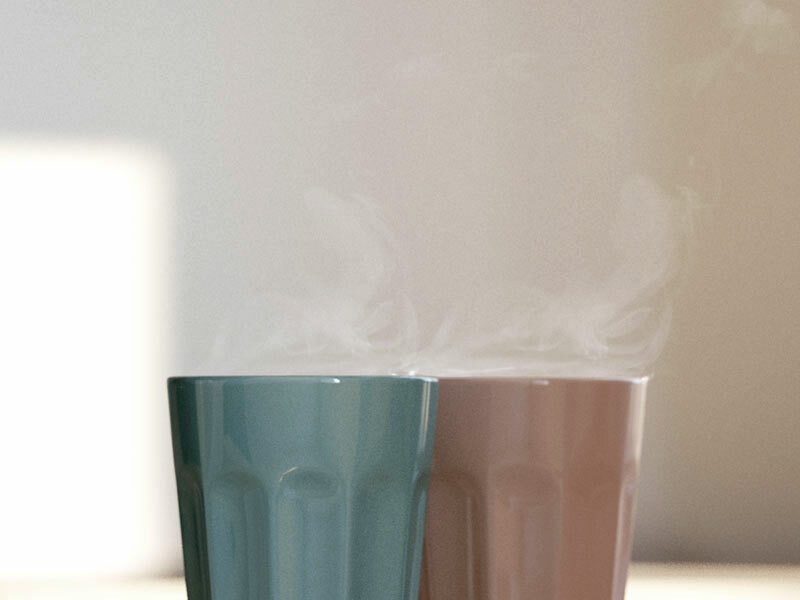 It is incredibly accurate tool which transforms V-Ray materials into Corona materials. Only a few minor adjustment were required to get basic materials work in this scene. However, some materials needed more attention. 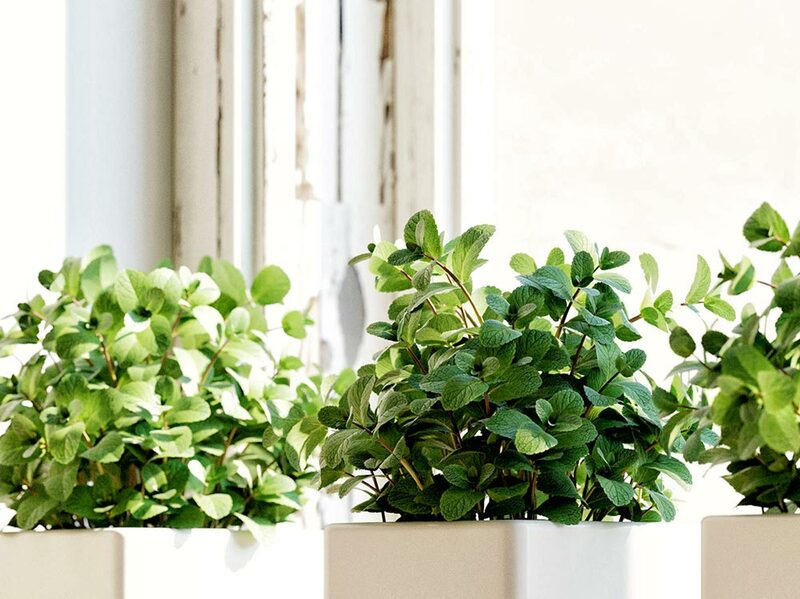 The easiest way to get realistic plant material is to use Corona Front/Back material. Usually top of the leave is darker and less saturated, while the bottom is lighter and more saturated (credits goes to Juraj Talcik). 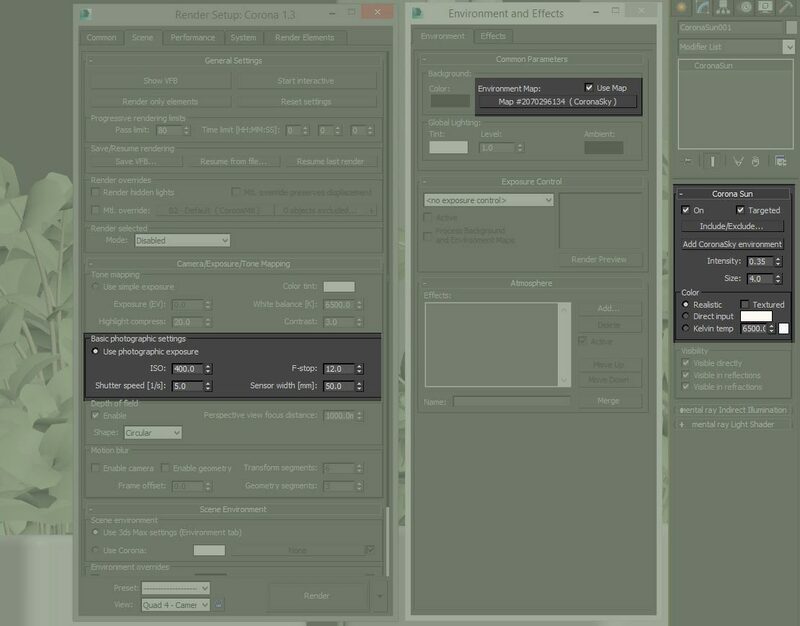 You can easily control those settings via Color Correction and use the same maps for translucency and reflection. I would not recommend using this map for bump, since normal map works better in such a situations. As you can see leaves under sunlight do not have those crispy details in my situation due to simple bump map. Lighting setup is extremely simple: Corona sun + CoronaSky in 3ds Max environment slot. Only the direction of the sun were adjusted in different renders. With corona it is always simple and easy. Traditional 3ds Max target cameras were used in this project. Very handy modifier – Camera Correction which straightens frame verticals. A good point to mention is DOF. We used this effect in every render, even in the wide angle. 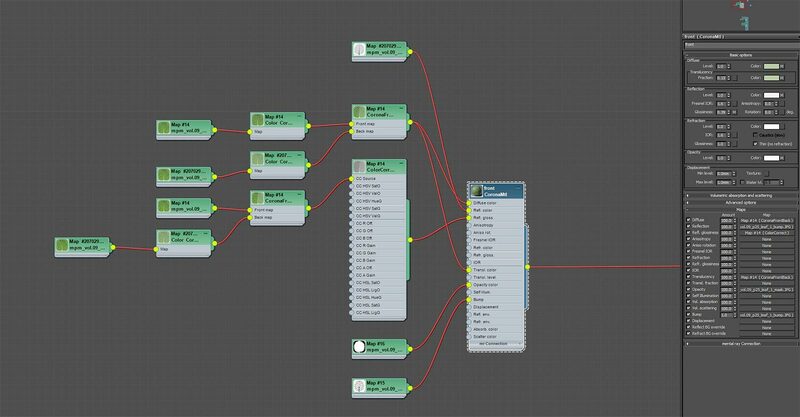 It gives that subtle blurry effect which helps render become more realistic. Finally there was very little post production, as we easily managed to get the desired result straight from Corona. Mainly it was contrast, color balance and saturation adjusting. 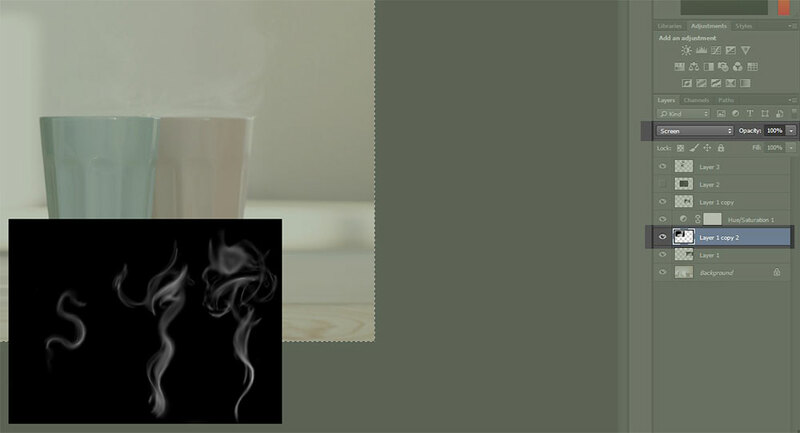 Only one thing we played around was a steam for coffee cups, using reference photos and different blending modes in Photoshop (see attached images below). Hope this was helpful. If there is any question regarding any subject we will be glad to answer. Very realistic result. Thanks for sharing.